Natural, Chocolate & Black Moosehide. Moosehide Kilty classic moccasin made from soft, supple genuine Moosehide and a rawhide lace. 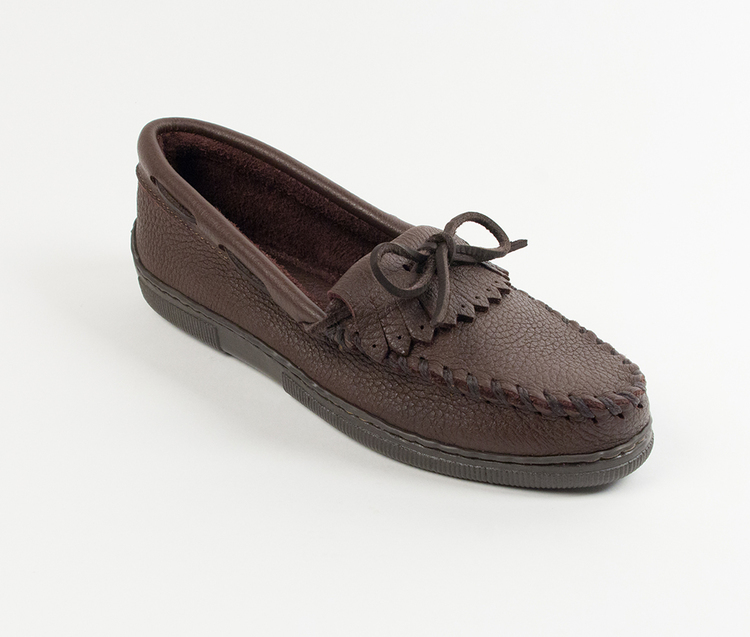 The moccasin has a fully padded insole with lightweight flexible rubber sole. The moose come from the Arctic regions where they are an important source of food, the genuine Moosehide is a wonderful byproduct. Any scars or scratches are natural charateristics of a wild moose and attest to the genuineness of the leather and enhance it's natural beauty.